E. Scott Menter: Writer. Critic. Husband. Dad. Jew. Zionist. Entrepreneur. Cranky-pants. With the holiday of Purim approaching, the countdown to Pesach (Passover), just one month later, has begun. Pesach begins with a ritual dinner, the Seder. There are as many types of Seder as there are Jewish families, but virtually all share a common theme: a sustained focus on the asking of questions. The questions aren't necessarily meant to be answered—as has often been noted, the Haggadah does not even provide a direct answer to the famous Four Questions. At the Seder, it is the question—or, rather, the questioning—that is important. Ironically, this subordination of answers may itself be the best response to the root concern of the Seder: why is this night different from all other nights? From our first breath through our last, we search relentlessly for the reasons behind the mysteries and obstacles life puts in our path. Tonight, though, we will expect no answers. We are reminded that the answers to most of life's questions will remain elusive; and that nonetheless, year after year, we must continue to ask. When it comes to Judaism, I'm rather partial to one particular question from the Seder: What do these symbols and rituals mean to you? A seemingly obvious inquiry, and yet it is the only one for which the Haggadah chides the questioner, calling him "evil" and explaining that by by saying you rather than us he sets himself apart, and should therefore be reprimanded. Perhaps. But I'd prefer to believe that Jewish culture has progressed to the point at which we can be comfortable asking the hard questions. 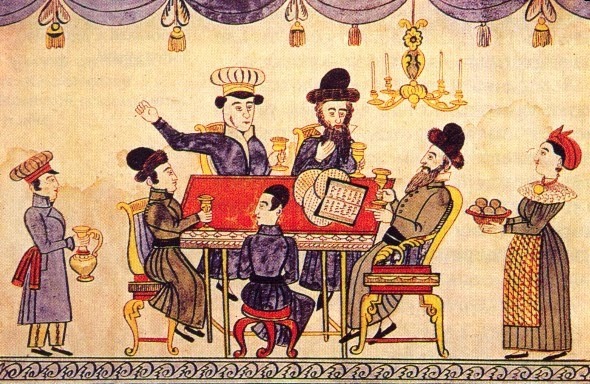 Why is this night—this Seder, this Shabbat, this Kol Nidre—different from all other nights? And surely this question is a proxy for the oldest and thorniest challenge of them all: why is this people different from all others? Are our values so different? Must we perpetually set ourselves apart from the rest of society? Would assimilation—even total assimilation, the complete loss of our distinct identity as a people—really be the tragedy that our parents believed it to be? If so—if the distinction is well worth preserving—then what role do God, religion, and ritual practice play in that preservation? Can our community continue to exist without them? What do these symbols and rituals mean to you? And, by extension, what should they mean to me? In a recent article in the online journal Tablet, author Jonathan Zimmerman identifies himself as an atheist who grew up in a Conservative synagogue. Reaching adulthood, he set out to find a new home within the greater Jewish world, one that supported his rationalist beliefs. He describes his growing distress as he discovered that any community that satisfied him intellectually seemed to fall short emotionally. The liturgy and praxis that had nurtured him to adulthood were poisonous to those who shared his worldview, while his rational rejection of Abraham's God and the divine origins of Torah made it difficult for him to participate in those rituals, to recite those words, he found most comforting. Zimmerman offers no answers. As the Seder reminds us, perhaps there are none. But we keep asking, even as, day to day, we continue to do the things that make us whole, that bring us peace, whether we understand why or not. I really want to see you, Lord. I know you're not there, but I seek you anyway, in myself, in my children, in the world around me. I will address you, though my supplications remain forever unheard. I will ask your forgiveness, and perhaps in doing so I will be reminded to forgive others. I will proclaim you the ruler of the universe, who brought forth bread from the ground, because like my primitive ancestors it comforts me to believe—or in my case, to pretend—that you are conducting the whole orchestra, that your eye is upon me and upon the sparrow. Yes, yes: I know better. I am resigned to the real world, the world in which the hawk takes the sparrow, swiftly, remorselessly. But I will gladly spend a few hours in that idealized place in which the sparrow sings on, its trills threaded within the chanting and laughter of my family's Seder table. In his New York Times blog this week, Nicholas Kristof finds evidence of a deepening societal rift revealed in a story of law enforcement run amok. The columnist reminds us that bank executives (some of whom are my former employers) have harmed millions through shady and deceptive business practices, without spending a single hour in prison. Meanwhile, single moms, teens, and others who have used marijuana have hurt no-one, yet many—usually the poor—will sacrifice years of their lives incarcerated alongside murderers and rapists. There are some encouraging signs. In reference to the tide of states legalizing marijuana, President Obama recently said, "[I]t's important for society not to have a situation in which a large portion of people have at one time or another broken the law and only a select few get punished." It's a relief to finally hear any American politician—much less the President—finally acknowledge the obvious: that the unnecessary, unjust, and arbitrary war on drugs has left our prisons overcrowded and our socially disadvantaged understandably resentful. So far, little has changed. What's worse, arbitrary drug arrests are only a part of a larger and more ominous trend in American jurisprudence. 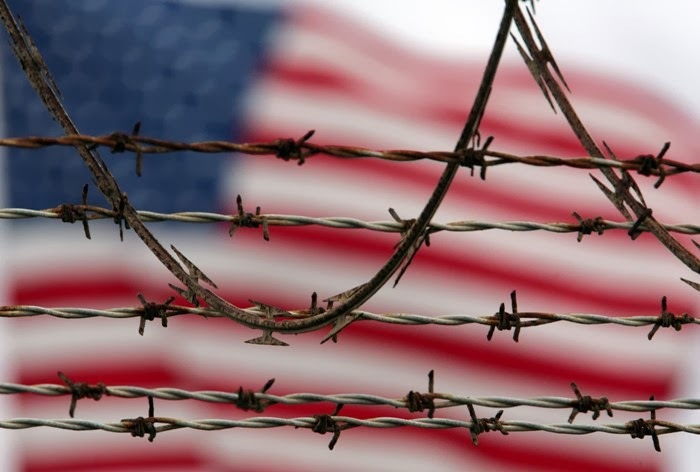 Incarceration rates in the US are far higher than those of any other nation—including those that routinely imprison political activists or engage in other human rights abuses. Higher than Iran. Higher than China. Higher than Saudi Arabia. It's not that we have more violent crime than those countries (although we certainly have more gun crimes). Indeed, as many as half of these inmates have been jailed for non-violent crimes, with over 3,000 non-violent offenders serving a life sentence. Absurd and hypocritical drug laws aren't the only problem. Our overflowing prisons are fed by many streams, including lobbying by private-sector prison operators, overreach of the post-9/11 security establishment, and failure of the mental health system to identify and treat seriously ill individuals before they act out. Kristof is right when he suggests that selective enforcement is "a matter of profound social inequality", but he is, tragically, just as correct when he points out that "inequality in America has other dimensions" as well. Social mobility is stagnant, wealth inequality has reached record levels, and voting rights are now routinely abrogated through gerrymandering and voter ID legislation. Taken together, it's clear that American democracy faces its gravest threat since the Civil War. Our way of life is novel; a historical aberration. If we abuse or neglect it, democracy, like every form of government before it, will simply disappear, a glimpse of sunlight fondly recalled in the long, dark night that is human history. The Hummingbird Review Spring 2011 edition, containing Scott's short story, Dolphinarium, is now available! E. Scott Menter is a writer and entrepreneur living in Southern California. The opinions expressed here are his alone—seriously, how likely is it that anybody would actually agree with this stuff? Avi's (mostly) world of warcraft blog!